This course will offer unique opportunities to musicians and singers to expand the horizons of their art form. You will learn complex rhythms and melodic structures from South Asian music in a contemporary setting. As well as learning new musical ideas from the wide ranging genres of South Asian music you will be encouraged to bring ideas from your own musical experience and the ensemble will work towards presenting them in a contemporary manner with an emphasis on fusion of diverse musical styles. You will also learn about the oral tradition of learning music and improvisation. There will be a performance out come towards the end of each term. Mohamed Assani has taught World music at Royal Academy of Music and led a successful fusion ensemble for many years ta the University of Huddersfield in England. Our undergraduate music students have been taking part in the Fusion Ensemble with fantastic results. Mohamed has managed to cater for people with no experience as well as those who have been playing for a long time, from all sorts of backgrounds. 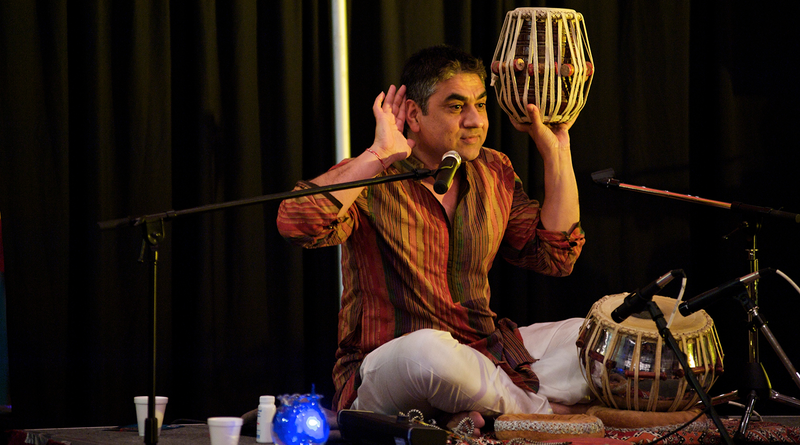 He has taught tabla and sitar, as well as running an ensemble that mixes traditional techniques and western instruments. He has developed a programme of high quality classes and performances .I was amazed at the first concert we held at how far students had developed in a relatively short period of time. His knowledge of the music, of playing styles on various instruments, of how to approach performances and rehearsals is very strong and if you get the chance to work with him I recommend you grab it with both hands!